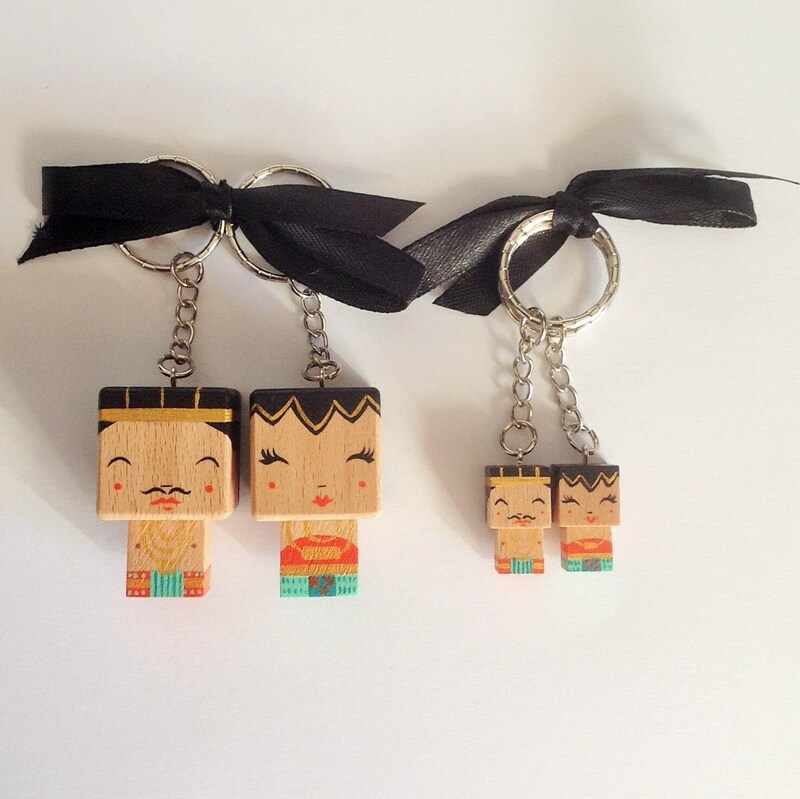 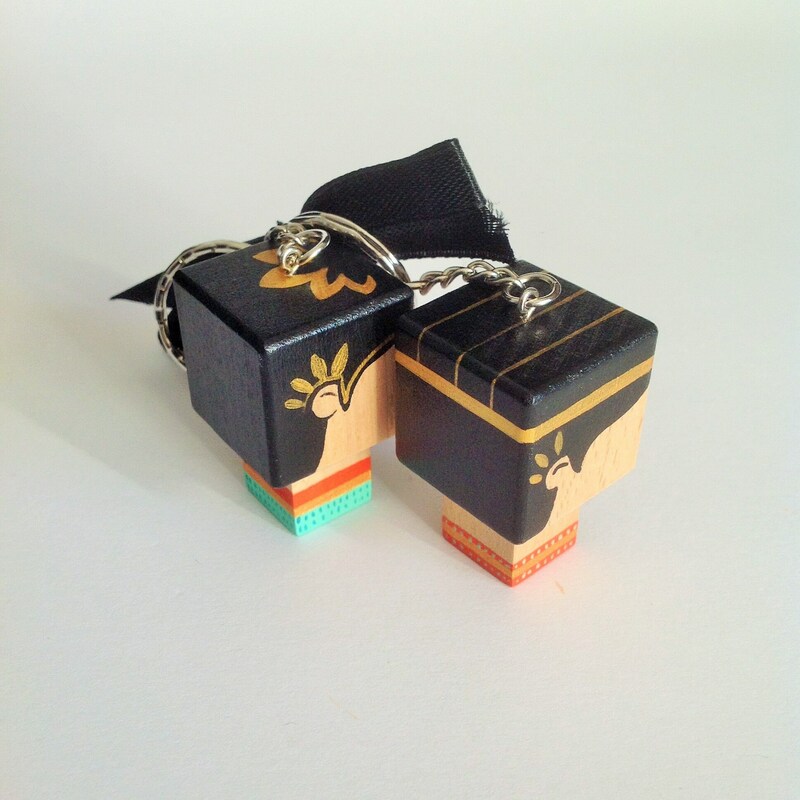 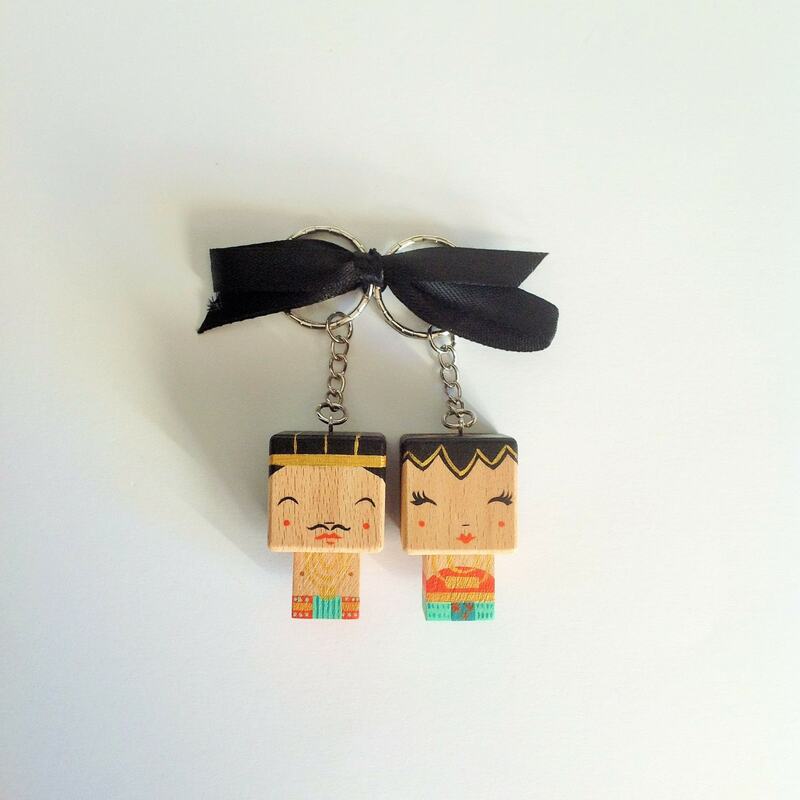 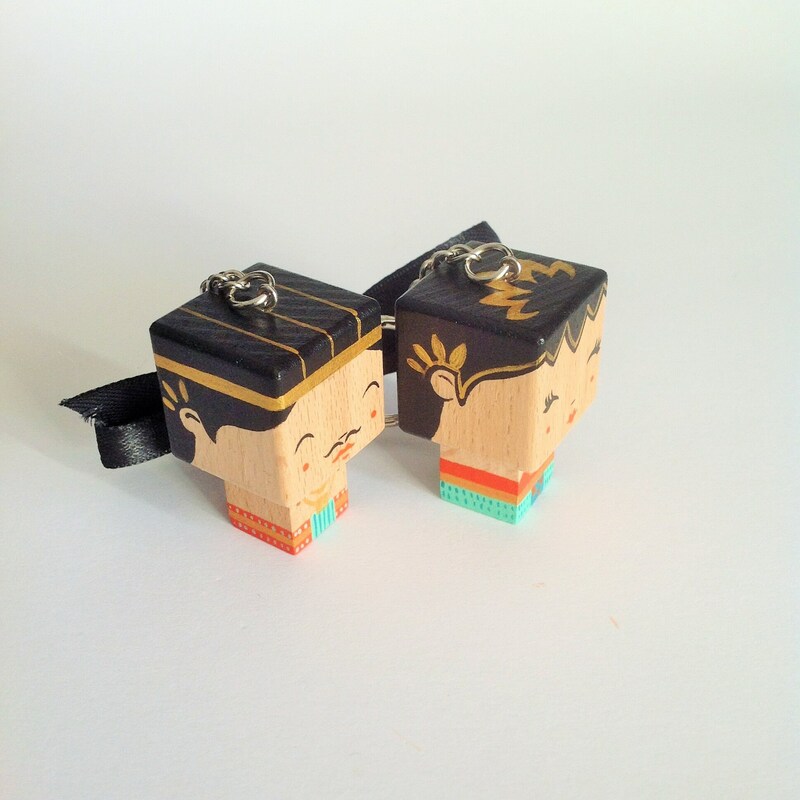 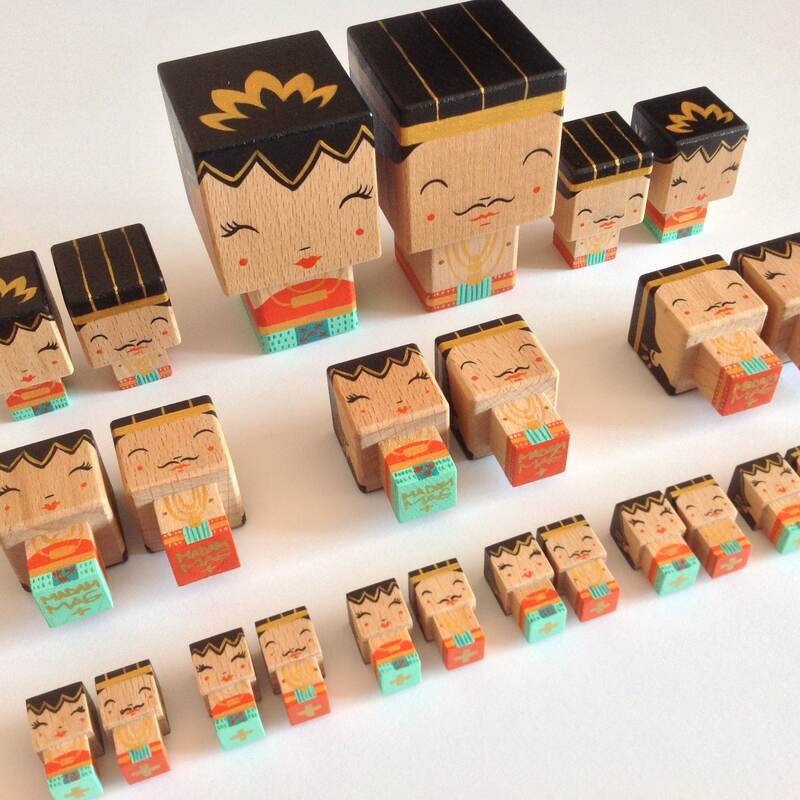 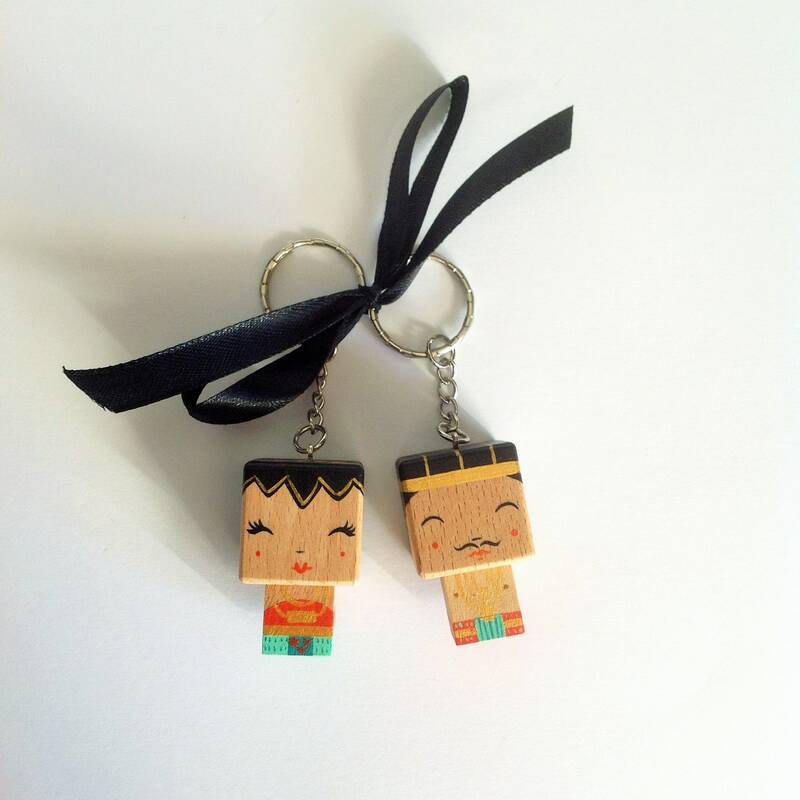 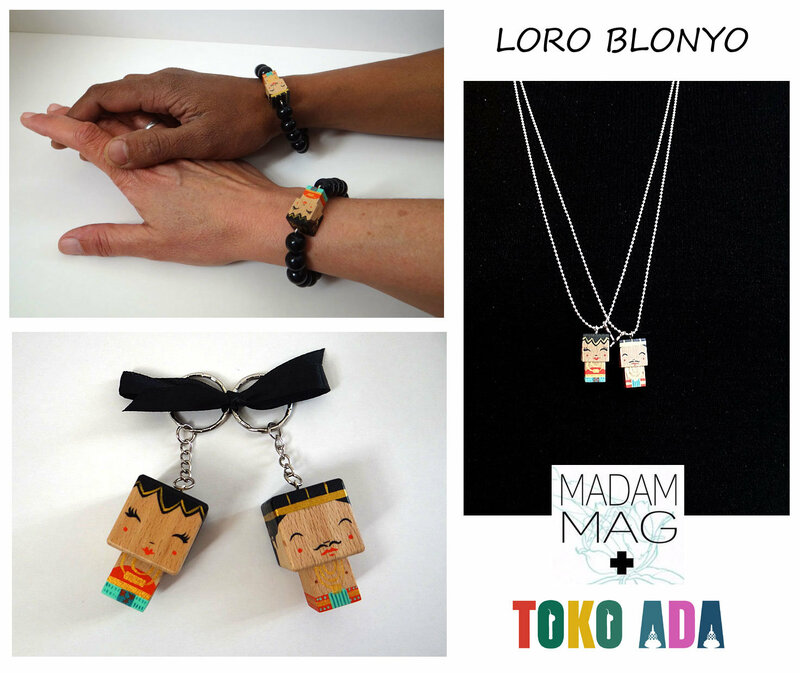 Couple Keychain cubic wooden figures painted entirely by hand. 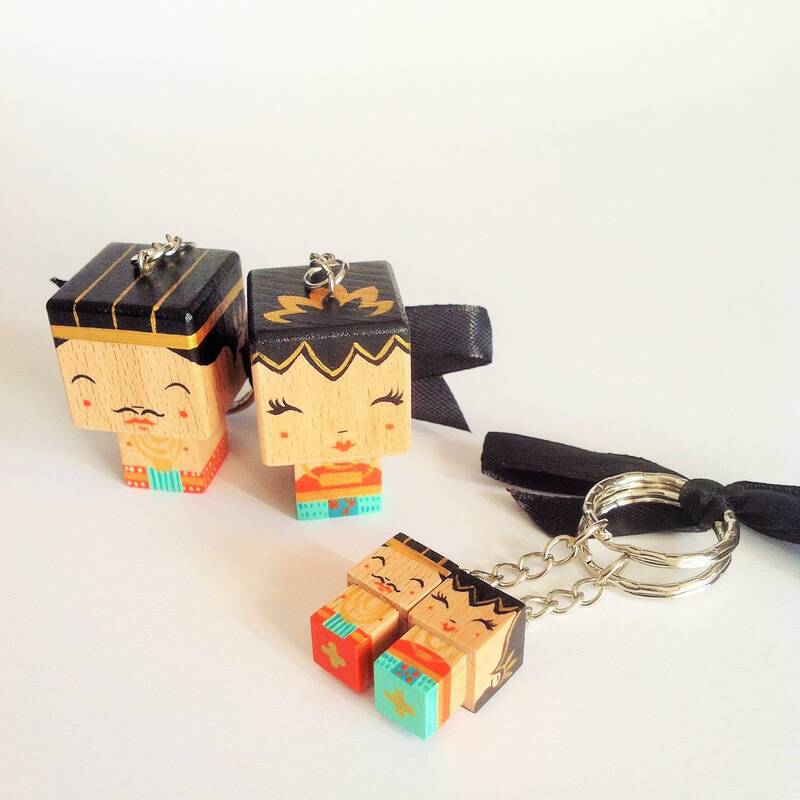 Solid beech lightweight, Acrylic paint, varnish matte + chain and silver metal ring. 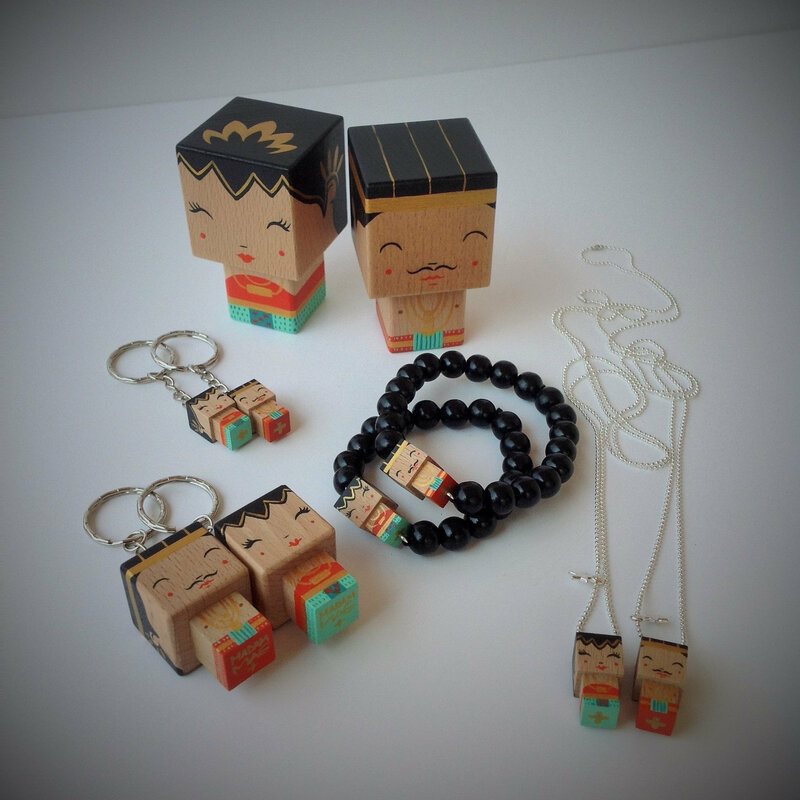 Achievable in any size figure models, necklace, etc... on the shop or order!